The art of acupuncture practice has been around for thousands of years, the precise date remains uncertain. The earliest written record of acupuncture is found in the Huangdi Neijing (黄帝内经; translated as The Yellow Emperor’s Inner Canon), dated approximately 200 BCE. The practice of acupuncture has evolved over thousands of years in different culture, under different thought processes and different philosophic assumptions than those of the western civilization. 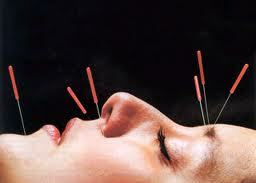 The acupuncture is thought to be based on cosmology theory, which was later adopted to be applied to the human body. The basic philosophical assumption in chinese culture is that everything exist as a form of energy and everything is regulated by energy called qi. This assumption was adopted and applied to acupuncture practice. The assumption or the premise underlying the acupuncture theory is that bodily functions are regulated by the energy qi, which flows though the body. If this energy flow is disrupted or disturbed in any way than this will cause the disease process to start. The more severe the energy disruption the more severe will the disease be. What causes the qi disturbances? It can result from eating the wrong kind of food, exposure to adverse weather such as cold wind, from stress, over work, worry, indulging in excesses. The qi has five cardinal functions:- actuation of bodies physical processes, warming the body, defending the body from exogenous pathogenic factors, containing body fluids from leaking and transforming food, drink and breath to qi, blood and bodily fluids. The qi flows from inside of the body ( where the zang-fu organs are) to the superficial body tissues of skin, muscle, tendons, bones, and joints. It flows through channels called meridians. There are 12 regular and 8 extraordinary meridians. Any factors mentioned above can disrupt the flow of qi in the meridians, this in turn affect the five cardinal functions thus resulting in disease. 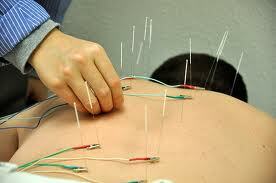 The balance is restored by putting needles in specific points along the meridians. When the balance is restored the disease process is reversed and health is restored. This in a nut shell is the acupuncture theory. Question is does it work ? Here is what the Professor of Complementary and Alternative Medicine Edzard Ernst and his colleagues concluded :- “the emerging clinical evidence seems to imply that acupuncture is effective for some but not all conditions.” Several review articles discussing the effectiveness of acupuncture have concluded that its effects may be due to placebo. Evidence for the treatment of psychological conditions other than pain is equivocal. Acupuncture’s greatest effectiveness appears to be in symptomatic control of pain and nausea. I myself practiced acupuncture for more the ten years. In my experience the acupuncture was very effective for diseases that was hard to diagnose using method employed by western medicine. I also found it to be very useful to control pain, headaches , nausea, plantar fasciitis, sinusitis, allergies and anxiety. Not all patients found it helpful so I always advised them to try two or three treatments and if they thought it helped then they should continue with more. I also found the theory of acupuncture useful to understand patients illness in much more holistic way , it was especially useful when the patients symptoms could not be explained by the scientific methods. These patients with unexplained symptoms were hard to treat without a diagnosis. However, I was able to make a diagnosis (by using acupuncture theory) in terms of energy imbalances and then was able to treat them accordingly. There are very few side effects from acupuncture. The main one is bruising. There is much made about possible infections but in the years I practiced there were no infections resulting from acupuncture needles. Lot of my patients ask me if they should try acupuncture, especially when they are getting too many side effect from the medication they are taking or when they are told that there is nothing wrong with them even though they are experiencing troubling symptoms. My advice in general is that they should try at least two treatments, and if it helps then to continue. I started giving this advice after I had a patient with chronic pain that no one could help. The pain prevented her from all the fun things she used to do, such as dancing, walking and swimming. Both she and I were getting frustrated and as a last resort I sent her for acupuncture. I was not expecting much, but it was not until she tried the acupuncture that she was able to live to her fullest. She was able to dance again. Stoic Style Fatalism – Letting Go Of The Past And The Present.